Imagine if you had £3,500 a week to run a campaign, consider the awareness you could raise with even a tenth of that. Now multiply £3,500 – the average weekly cost of a place at an assessment and treatment unit (ATU) – by 3,250 – the number of learning disabled people in such units. That’s an indicator of the costs involved in using controversial Winterbourne View-style settings. Just over a year ago, 18-year-old Connor Sparrowhawk, aka Laughing Boy or LB, was admitted to a Southern Health NHS Trust ATU where he died an avoidable death 107 days later. 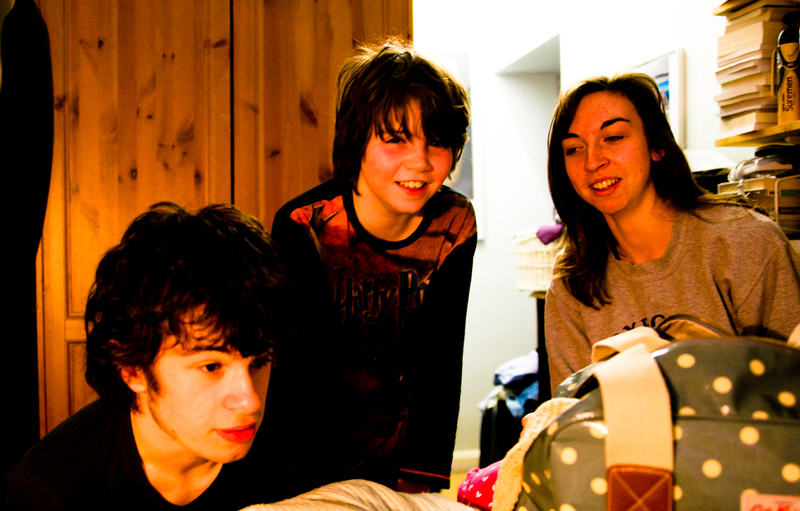 In contrast to the vast amounts spent by commissioners on places like the one where LB died, the #JusticeforLB campaign sparked by his death is ‘funded’ solely by goodwill. No PR team crafting on-message missives, no policy wonks collating information, no consultants advising on publicity. #107days of action began on Wednesday 19 March, a year to the day Connor went into Slade House, and continues until the first anniversary of his death, Friday 4 July 2014. Half the aim – and I’ll come to the other half at the end of this post – is to “inspire, collate and share positive actions being taken to support #JusticeforLB and all young dudes”. The goal is to capture the “energy, support and outrage” ignited by LB’s death. This post, around halfway through #107days and written from the perspective of having reported on #JusticeforLB at the start of the campaign, looks at what’s been achieved so far. I’m not describing the “abject failure” of progress to rid social care of Winterbourne-style settings – care minister Norman Lamb’s words – the sort of apologies for care where compassion is often as absent as any actual assessment or treatment. Nor do I write about the errors at Southern (you can read here about the enforcement action from health regulators after a string of failures). I want to explain, from my interested observer’s standpoint, the impact of #107days and what might set it apart from other awareness drives. It’s a timely moment to do this. It is now three years since Winterbourne, less than a week after Panorama yet again highlighted abuse and neglect in care homes and a few days since new information on the use of restraint and medication for people in units like LB’s. The campaign reflects not only the importance of #JusticeforLB, but also an unmet need to finally change attitudes towards vulnerable people (and it’s not as if we don’t know what “good care” looks like). There is a palpable sense that the #107days campaign is different. Talking to journalists, families, activists, academics, bloggers and social care providers, the word “campaign” doesn’t adequately define #107days. It’s an, organic, evolving movement for change, a collaborative wave of effort involving a remarkably diverse range of folk including families, carers, people with learning disabilities, advocates, academics and learning disability nurses. It’s worth noting the campaign’s global reach. LB’s bus postcard has been pictured all over the UK and as far away as Canada, America, Ireland, France, Majorca and São Paulo. LB has touched a bus driver in Vancouver and brownies in New Zealand. Because of the blog run by Connor’s mother Sara Ryan (launched long before his death), LB and his family are not mere statistics in a report or anonymised case study “victims” in yet another care scandal. Instead we have Connor: a son, brother, nephew, friend, schoolmate, neighbour – and much more – deprived of his potential. We forget neither his face and personality nor the honest grief of a family facing “a black hole of unspeakable and immeasurable and incomprehensible pain”. Yet while anger and angst has sparked and continues to fan #107days, the overwhelming atmosphere is optimistic. There is the sense that outrage, can should and will force action (and it’s worth mentioning, as #JusticeforLB supporters have stressed, exposing bad care begs a focus on good care – lest we forget and tar all professional carers with the same apathetic brush). Both in its irreverent attitude and wide-ranging activity, this is no orthodox campaign. It is human and accessible because of its eclectic and inclusive nature (see, for example, Change People’s easy read version of the report into Connor’s death). And at the heart of the campaign lie concrete demands. In its bottom-up, social media-driven, grassroots approach and dogged determination, #107days has a hint of the Spartacus campaign against welfare cuts (Spartacus activist Bendy Girl is supporting #JusticeforLB through her work with the newly formed People First England). As for impact so far, daily blogposts have attracted over 25,000 hits with visitors from 63 countries. There have been 7,000 or so tweets (which pre-date #107days) 1,380 followers, the #justiceforLB hashtag has been used more than 3,560 times and the #107days hashtag more than 2,000 times in the last month (thanks to George Julian for the number crunching). So far, the total amount raised for Connor’s family’s legal bills is around £10,000. I can’t list each #107day but suffice it to say that the exhaustive activities and analysis so far include creative and sporting achievements highlighting the campaign as well as education-based events (or as Sara described progress on only Day 6 of #107: “Tiny, big, colourful, grey, staid, chunky, smooth, uncomfortable, funny, powerful, mundane, everyday, extraordinary, awkward, shocking, fun, definitely not fun, political, politically incorrect, simple, random, harrowing, personal, in your face, committed, joyful, loud, almost forgettable, colourful and whatever events”). Along with blogs, beach art and buses in Connor’s name, there’s an LB truck, the tale of two villages’ awareness-raising, a hair-raising homage, autobiographical posts about autism, siblings’ stories, sporting activities, and lectures. And patchwork, postcards, pencil cases, paddling (by a 15-year-old rower) and petition-style letters (open to signatures). It’s worth noting that while learning disability should be but isn’t a mainstream media issue, there have been pieces in the Guardian and Daily Telegraph plus important coverage on Radio 4 , BBC Oxford and in the specialist press. BBC Radio Oxford‘s Phil Gayle and team have followed developments relentlessly and Sting Radio produced an uplifting show on the first day of the campaign. While some of this coverage pre-dates #107days, it reflects how media attention has been captured solely thanks to the efforts of Connor’s family and supporters (links to other coverage are on Sara’s blog). As for reaching the key figures who could help make the changes #107days wants, the campaign has had contact with health secretary Jeremy Hunt, care minister Norman Lamb, chief inspector of adult social care Andrea Sutcliffe and Winterbourne improvement programme director Bill Mumford, care provider organisations and staff. Earlier, I described the first half of #107days’ aims to “inspire, collate and share positive actions” and capture the “energy, support and outrage” ignited by LB’s death. Based on the efforts and impact so far, and the campaign is clearly on track. But the remaining target – to “ensure that lasting changes and improvements are made” – is more elusive, largely because it lies outside the responsibility and remit of members of the #107days campaign. Contrast the collective nerve, verve, indignation and initiative of the last 46 days to what Norman Lamb calls the historic “institutional inertia” of NHS and local government commissioners, a cultural apathy undermining plans to move more people out of Winterbourne-style units. The existence and continued use of ATUs might be a challenging and seemingly intractable problem. But that’s not good enough a reason for commissioners – and those who run and govern such places – to ignore the problem. There are good intentions coming from some in authority; people just need to put their collective muscles where their mouths are. Doing that sometime during the remaining 60 days of the campaign for Connor seems like the right thing to do. This entry was tagged 107days, activists, ATU, commissioners, connor sparrowhawk, guardian, indignation, initiative, institutional inertia, journalists, justice, justiceforLB, lb bus, mainstream media, media, movement for change, Norman Lamb, postcard, saba salman, sara ryan, social media, socmed, southern health. Bookmark the permalink. Yes, a simple comparison would be for you to send your child (who has a severe peanut allergy, and was wearing a t-shirt saying so), to ‘mainstream school’, where they are given a dish full of peanuts to eat for lunch and then subsequently die. And then over the following weeks and months, the school’s governors and PR staff call it an accident and spend thousands ‘investigating’ and writing ‘spinny’ reports on how this terrible accident occurred and what we can learn. potential will never happen in these places especially when they have limited contact with those that love and know what their support should be. We seem to put our trust in a system that constantly fails to deliver schools hospitals care homes supported living assessment units and those cared for in mental health why? It is time for change we should not be writing reporting complaining hurting I did not know LB I think we would have got on fine I have so much admiration for his family and friends and the fight for justice I pray finally some thing good will come out of Connors avoidable death and the terrible pain that followed. I don’t know who you all are, but you are what makes Britain truly great, as a nation that doesn’t walk past people dying in the street. Caring for the vulnerable is more common as people are getting older, and those with autism and learning disabilities and other conditions who need care from the beginning of their lives (not just end of life care) are the most amazing people. Their courage should inspire us as they often don’t live for making money. They often don’t know what money is, and they appreciate the things most of us are blind to. They bring balance to the rest of society, but because they’re not supported or understood, they really suffer. They don’t ask for much, but even that is beyond us. And ATUs and private providers see them as golden geese (someone else writing for the Guardian, I think, described them as that). But just look at their faces and ours.. They often aren’t corrupt and that’s maybe why people don’t value them – they’re non- threatening. But they have answers for the consumer society that is abusing the planet. Remember the 20:80 ratio generally- that 20% of the people do 80% of the work. So 80 are ineffective and picking up salaries, while 20 work hard to try and make a positive difference. The NHS will be bankrupted by the 80, and Social Care is bankrupted by the 80 who don’t provide the care but count the cheques and make sure the money adds up. And all this in a time of financial insecurity, with elder care needs spiralling, and yet managers are blossoming with high incomes, holidays and endless meetings – such easy jobs that they encourage their children to follow their career pathways.. Commissioners are so different from each other,and I don’t want to tar with the same brush, but they are 20:80 people and that’s a big problem. But we are looking at value for money and efficacy in Social Care now with NICE Guidance as someone has to keep an eye on the public purse. So let’s look at ATUs and private providers and see just what they provide. We do know what good care looks like (!) as a previous writer points out, so let’s not waste the previous time of those who can’t speak. We don’t have the money to go round in circles forever, pretending, and having endless expensive conferences, which are an easy day at work and an expensive free lunch. And let’s look at the plush offices of NHS and private providers, and compare with facilities for disabled people as pictures tell us more than words. We have to start somewhere. We have to start caring for each other. Pingback: georgejulian.co.uk - Is social media really disrupting leadership?